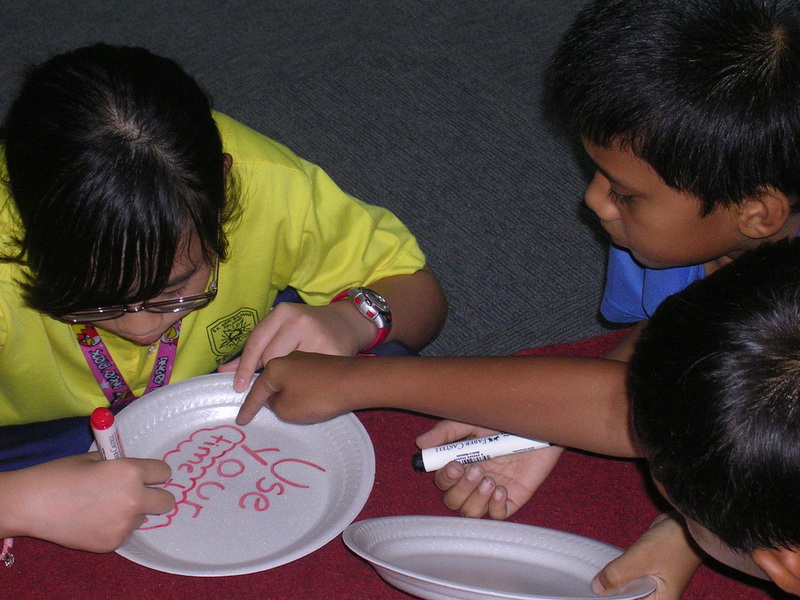 Having fully understood the problem, we felt that it is important for us to create awareness of this matter to everyone. 1. Awareness to Parents during the Parent Teacher Association. "Far too often parents dismiss back and spine injuries from over weight back packs as growing pains," Dr. Heather McLeod, President of the British Colombia Chiropractic Association. We felt that making parents aware of this issue was the most important thing. A presentation was done by us at the annual Parents and Teachers Association (PTA) meeting on 26th Feb 2012. 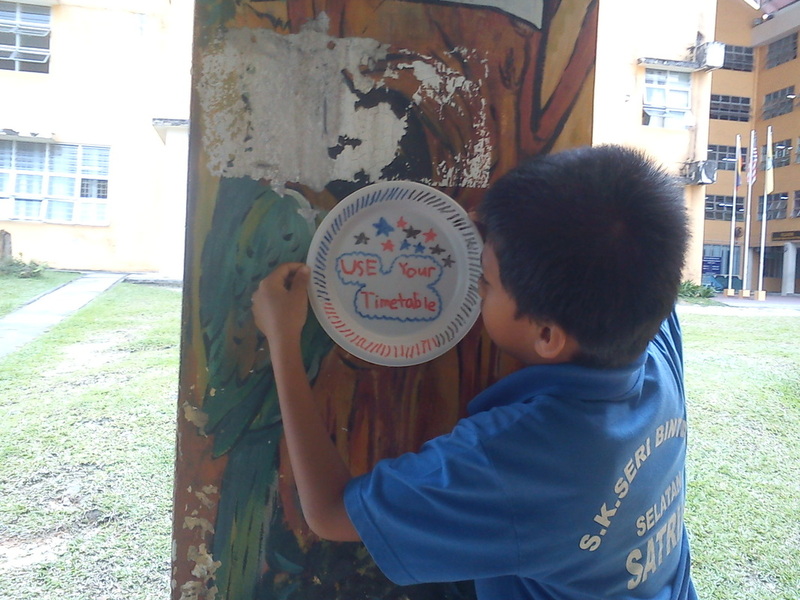 We are very grateful to our headmaster, En Azahari for granting the time. We also conducted a live demo of a child carrying a normal weight bag and then carrying a heavy bag. 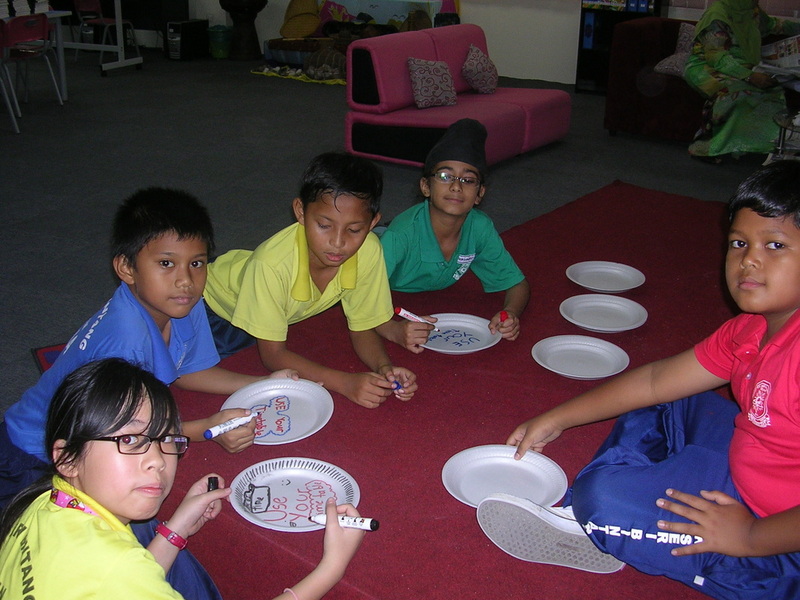 We highlighted the impact caused on the backbone of the child. 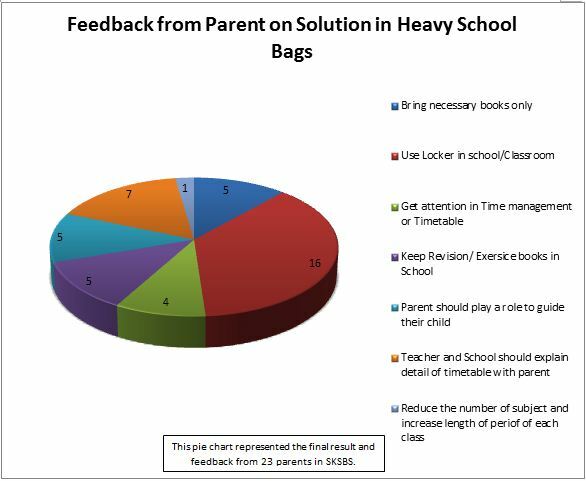 We also distributed Feedback forms for parents to fill. Below is the video of Arief, Natalie and Nadzmi doing the presentation to the PTA, together with the live demo done by one of our schoolmate carrying a light bag and then a heavy bag, to show the effect on the back bone. 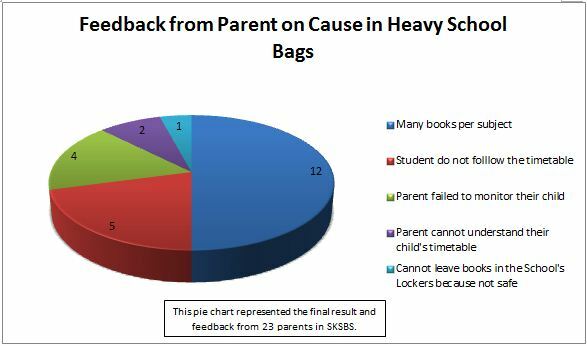 We also advised parents on the type of bags to be purchased for their kids. We told them not to purchase bags based on their kids' liking or based on the price only. Campaign for type of bags to be bought in future. These campaigns was launched by by the team with help of teachers. 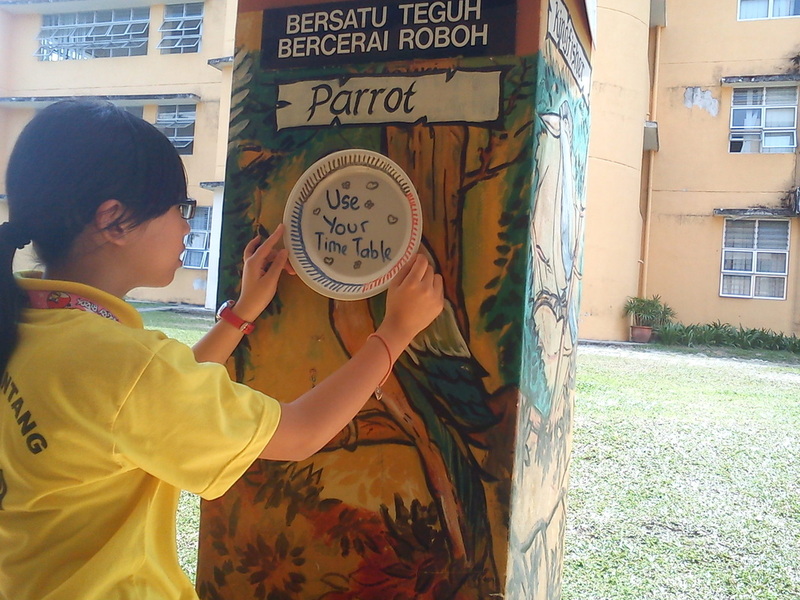 Below are pictures of our team members making posters on the campaigns to be placed at various places in the school. Demo on method of arranging books in the bags. 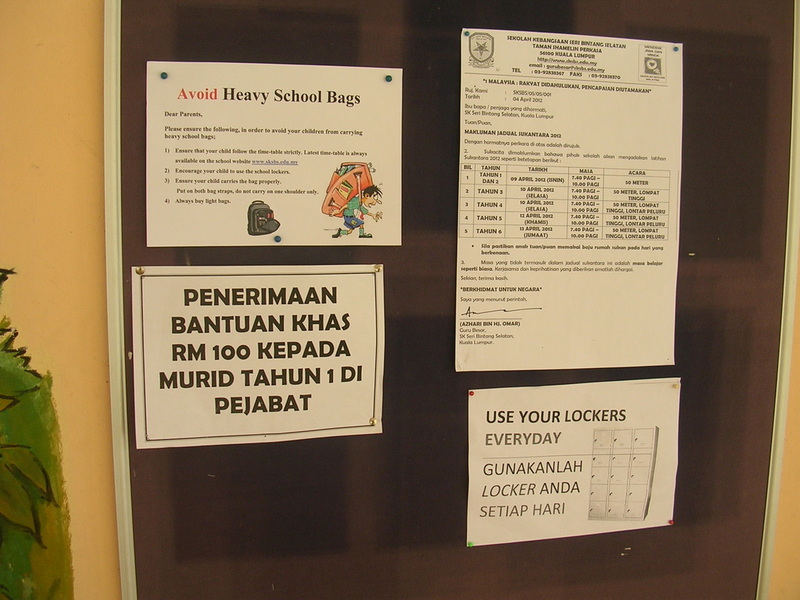 We conducted live demos in each classes on how should the contents be placed in the school bag. Based on our research, the heavier and thicker books should be placed first, followed by the lighter ones. 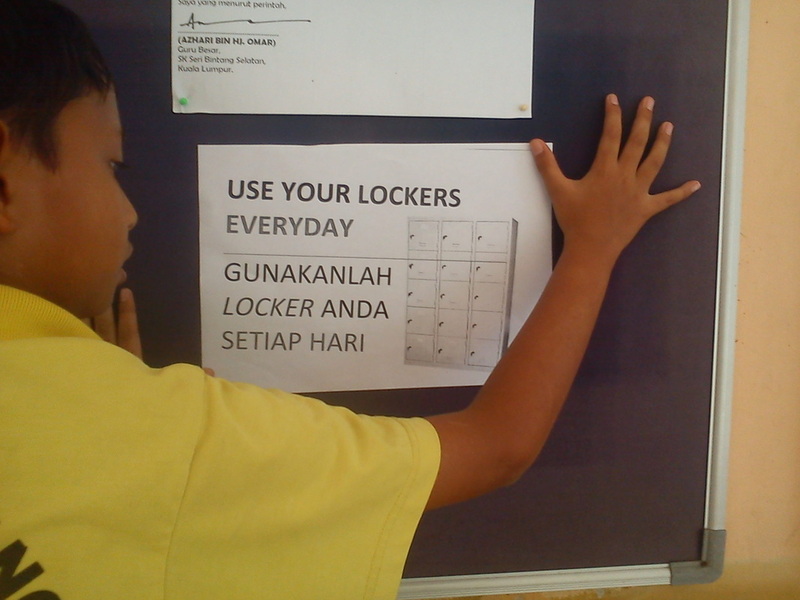 This helps to maintain the posture straight when carrying the school bag. "Pack the heaviest items so they are closest to the child's back. 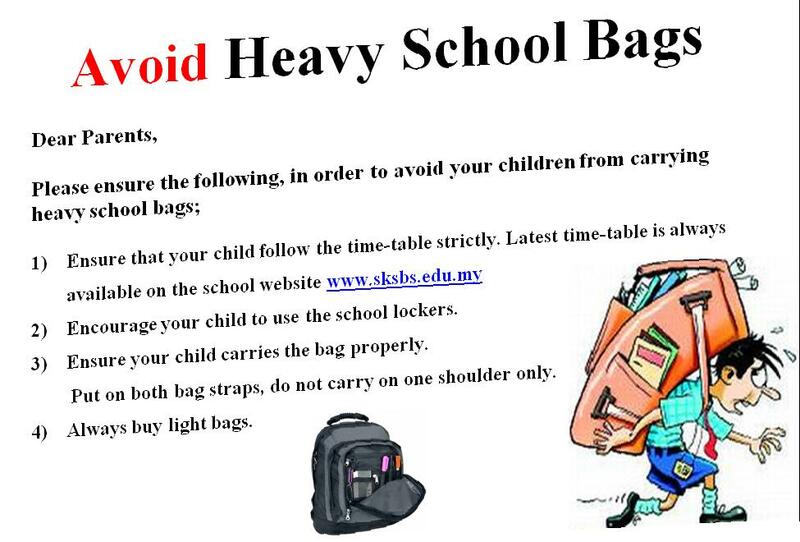 If the heaviest items are packed further away, this throws out the child's center of gravity and causes unnecessary back strain"
To ensure the above, we also put up notices at the school notice board for everyone to view.